The Indonesian government’s commitment in taking care refugees has not been thorough. 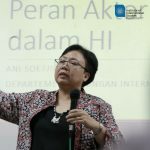 Although the Presidential Regulation (Perpres) 125/2016 on the Handling of Foreign Refugees has been published, the implementation is deemed not significant. 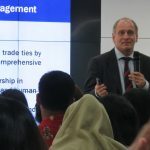 “Though it was positively recognized by the international society, we have to take into account that the regulations has not affected refugees yet,” said Yunizar Adiputera during the launching of Addressing Challenges and Identifying Opportunities for Refugee Access to Employment in Indonesia at FISIPOL UGM (29/6). Along with DGI Regulation No. 0352. GR.02.07/2016 on the Handling of Illegal Immigrants, the Presidential Regulation set a more humane approach on handling refugees. The DGI Regulation states that refugees and asylum seekers who attained letter from UNHCR would not violate any laws and regulations. The regulation, then, aborted Immigration Law 6/2011 which had not distinguished refugees and other illegal immigrants. Presidential Regulation 125/2016 also provides more specific mechanism on handling refugees, involving local government and the use of its budget. It mentioned local government’s responsibility to identify, register, shelter, secure, supervise, and fund refugees in Indonesia. Even so, Yunizar argued that there were two reasons causing the Presidential Regulation worked inefficiently. First, the regulation was signed at the end of 2016, so that budget for the following year was impossibly allocated. 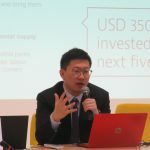 In 2017, the central government was still socializing the regulation to ministries and local governments. Other than that, it does not specifically accommodate the rights for refugee to work and accessing education. The absence of those basic rights is a huge disadvantage for refugees as they can wait up to 25 years to be resettled. The general assumption that refugees would take over local citizen’s jobs hinders the government from giving access to employment. While, in fact, the amount of working-age refugees is very small compared to Indonesia’s unemployment. In 2016, unemployment reached 7.005.262 people while the amount of working-age refugees was only 11.268. In percentage, the number of working-age refugees only represents 0,16% of the total unemployment in Indonesia. Therefore, fear of losing jobs to the refugees is irrelevant. On the policy brief, both authors refers to several researches shown positive impacts from giving employment access to refugees. According to IMF, refugees could potentially increase economics activities and revenues to host countries. So has done in London, where refugees-owned businesses lift local economics. Considering the supporting data, it is necessary for Indonesia’s government to give refugees employment access. According to UNHCR, 10-11% refugees in Indonesia has had experienced in trading. Some of them possess specific skills which local citizens do not have, like speaking foreign languages or cooking culinary from home-countries. 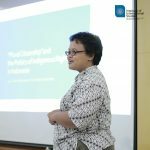 Francisca Dwi Indah Asmiarsi, the National Program Officer of Jesuit Refugee Service (JRS), welcomed scholars’ effort in advocating employment access for refugees. Fransisca admitted that employment is crucial to sustain their life. Unlike the refugees who occupied detention houses, those who live among local citizens has greater chance to blend in and live independently. “In Bogor, we (Red: JRS) found that refugees and the locals has established good relations. Host communities started to understand that refugees differ from tourists. Refugees are those who have had to run away, saving themselves from war happened in home-country,” Fransisca added. Relations between refugees and local citizens brought economic advantages. Micro-economic activities go hand-in-hand with the existence of rental business and grocery markets. Even so, what happened at Bogor is only one success story amongst many problems. Such action is taken because refugees have no more financial capability to support their life. Without access to employment, refugees are only able to depend on detention houses and international organization’s allowance. Whereas, both solutions are no longer reliable by reason of the recent cut budget. At this point, giving access to employment for refugee is prominent as one of the solution. Policy paper Addressing Challenges and Identifying Opportunities for Refugee Access to Employment in Indonesia was written by Yunizar Adiputera and Atin Prabandari. 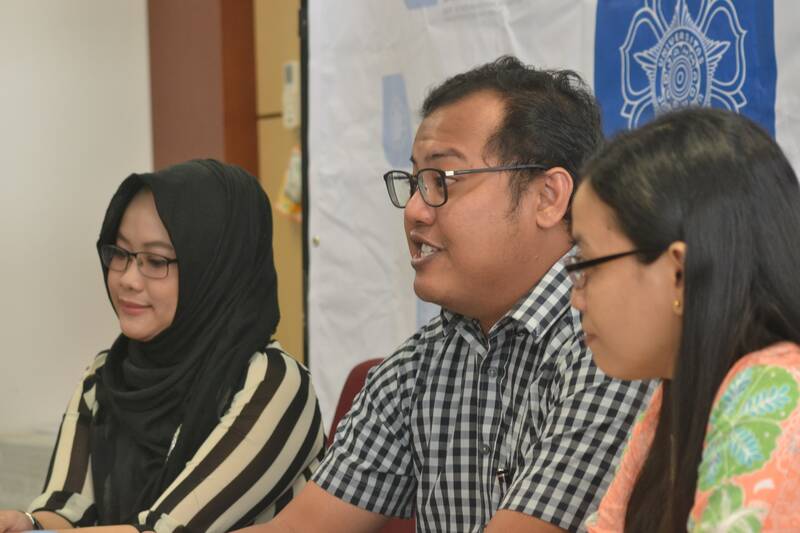 The policy brief is a result from research conducted in 2017, held by Program of Humanitarion Action, a research cluster under Institute of Internasional Studies, in a collaboration with United Nations High Commissioner for Refugees (UNHCR) Southeast Asia.